Want to improve Db2 for z/OS application performance? Optimizing the performance of database systems and applications is time consuming and costly. It is estimated that Database Administrators spend as much as 25% - 30% of their time today managing application performance and tuning SQL queries. 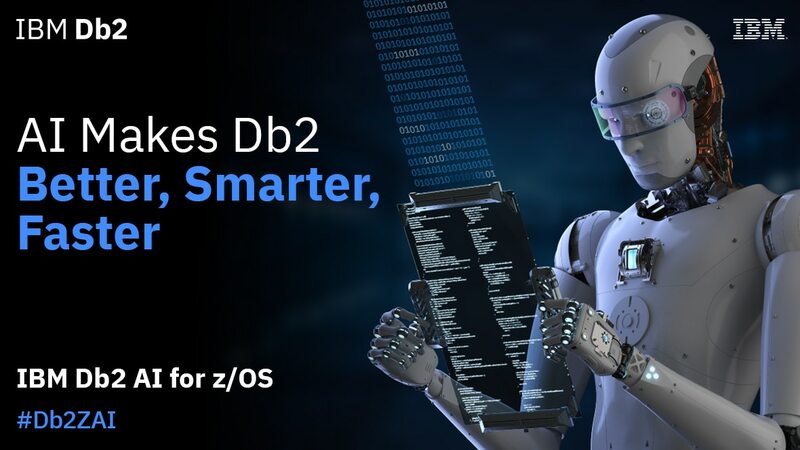 Using the Db2 for z/OS Optimizer and leveraging IBM Machine learning for z/OS technology, IBM Db2 AI for z/OS exploits new intelligence to identify optimal access paths for SQL queries uniquely based on your workload characteristics. Want to save on Db2 Operational cost? Optimizing the performance of database systems and applications is time consuming, complex and costly. It is estimated that DBA's spend as much as 25% - 30% of their time today managing application performance and tuning SQL queries. Using Db2 AI for z/OS internal benchmarks have showed up to 25% performance benefits in terms of reduction in CPU benefits and elapse time when Machine Learning was employed for a set of Db2 queries .